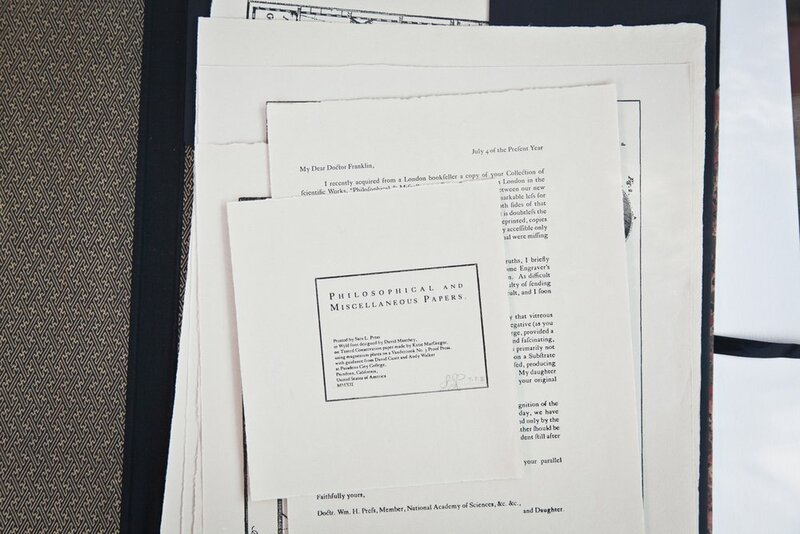 Books > Philosophical and Miscellaneous Papers, a suite of forged historical prints. 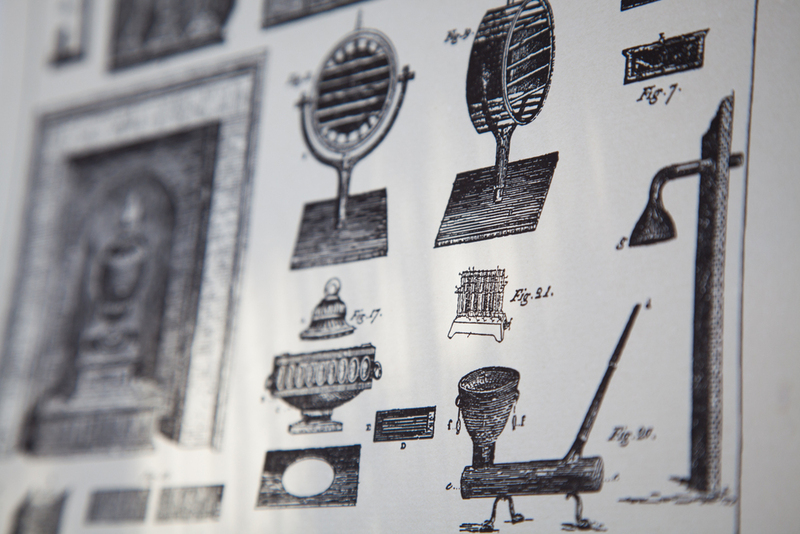 Commissioned to restore a first-edition Benjamin Franklin book by scientist W. H. Press, I recreated the 3 missing plates using letterpress, and added tiny, forged, anachronistic details suggested by the contemporary polymath in conversation with his predecessor. Press, an astrophysicist and computational biologist, served on President Obama’s science advisory council. a) 9 folio 2013, each with suite of 5 prints: $650 each. b) First-edition Benjamin Franklin book (restored by Sofia Baron, Dibner Book Conservator, Huntington Library), including the reproduced/altered prints: P.O.R.